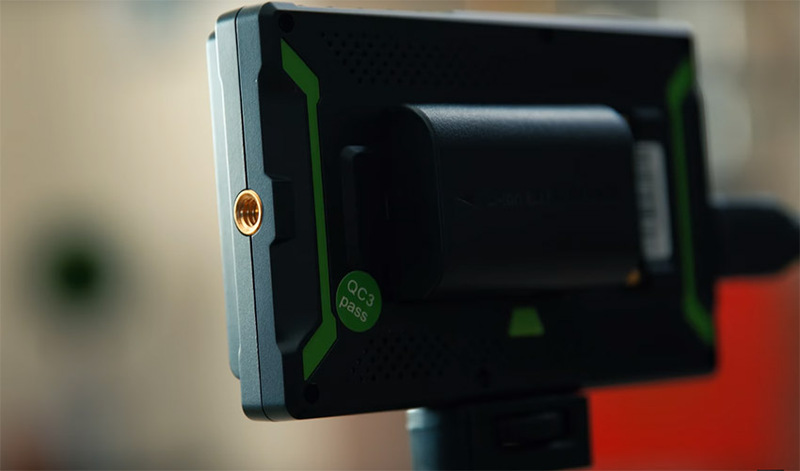 While on-camera monitors could sometimes be considered as an unnecessary and redundant add-on to your filmmaking kit, using such a tool is an absolute necessity for proper framing as well as nailing focus and exposure when shooting in the field. The larger screen real estate not only does provide the ability to better evaluate your shot composition, but it could help tremendously when it comes to working with color-critical applications, not to mention the wide variety of video assists onboard features that these monitors usually provide. That being said, finding a reasonably priced, yet feature-packed on-camera monitor could be a pretty daunting task. Well, not anymore! 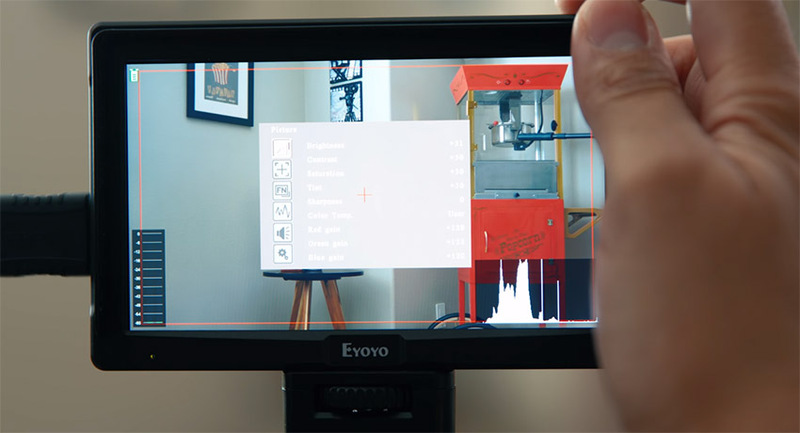 Filmmaker Armando Ferreira has just come across a dirt cheap field monitor from up-and-coming Chinese manufacturer Eyoyo that seems to be a real no-brainer for filmmakers working on a shoestring budget. Let’s take a closer look. Going through the basics, the Eyoyo A5 is a compact and lightweight on-camera monitor with a 5-inch IPS LCD panel, boasting 1920×1080 resolution, 1000:1 contrast ratio, and 170-degree viewing angles. Besides that, the unit accepts full 4K video as well – a feature that is usually omitted from other low-priced counterparts out there. Furthermore, cameras can be connected to the monitor using the display’s HDMI In jack while you can also output the incoming signal via passthrough using the Eyoyo A5’s HDMI Out port. To power the unit, Eyoyo has given users multiple options to work with. You can use either Sony NP or Canon LP-Style battery, or you can opt to take advantage of the DC 12V Power Input jack located on the side. Just as a reference, a fully charged Sony NP-F970 battery should give you roughly around two hours runtime per a single charge. Overall, Ferreira’s experience with the Eyoyo A5 seemed to be a pleasant one. The display is reasonably sharp while the monitor itself packs a decent number of video assist features such as focus peaking, false color, as well as various scopes and graphs. In addition, the unit comes equipped with a sun hood for easier monitoring of the image in bright outdoor conditions. There are, of course, a few drawbacks to the offering, which is more than expected considering its low price point. For starters, the colors on the display are far from accurate. According to Ferreira, they’re not terrible, though you shouldn’t depend too heavily on them for checking color and exposure. Secondly, the build quality of the entire unit seems to be pretty poor – constructed of hardened plastic that may easily break upon impact with the ground from a fall. Hence, you should be very careful when moving it around. All in all, for an on-camera monitor priced at less than $150, you’ve got an offering that strikes a balance between price and performance. 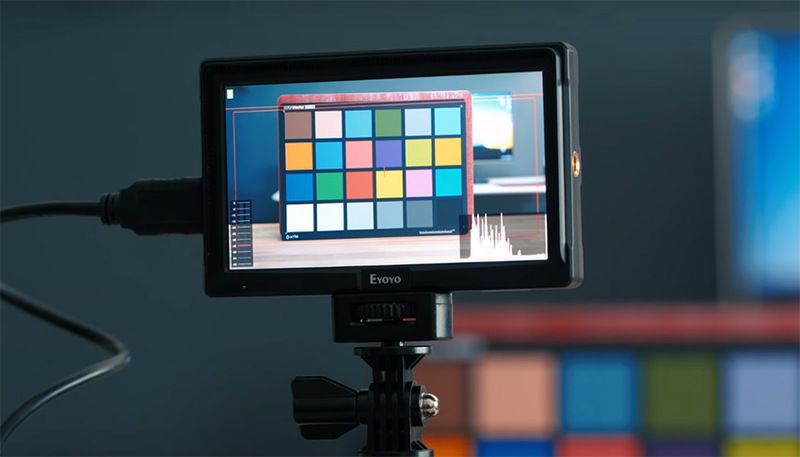 While color reproduction and construction may pose as limitations for the unit, Eyoyo’s inclusion of high-end video assist features with a reasonably-sized panel could be enough to justify the cost for some filmmakers. If you are interested, use the provided link below.